If you are in the Washington, DC area, you should take the opportunity to visit the National Museum of American History. Among the more popular exhibits is one dedicated to the nation’s First Ladies. The displays in the First Ladies Hall include a series of period rooms modeled after rooms in the White House. The rooms serve as a backdrop for the first ladies’ gowns. If you cannot make it to Washington, you can enjoy an interactive experience at http://americanhistory.si.edu/first-ladies/new-exhibition. One First Lady you will not find represented in the exhibit is Varina Davis. 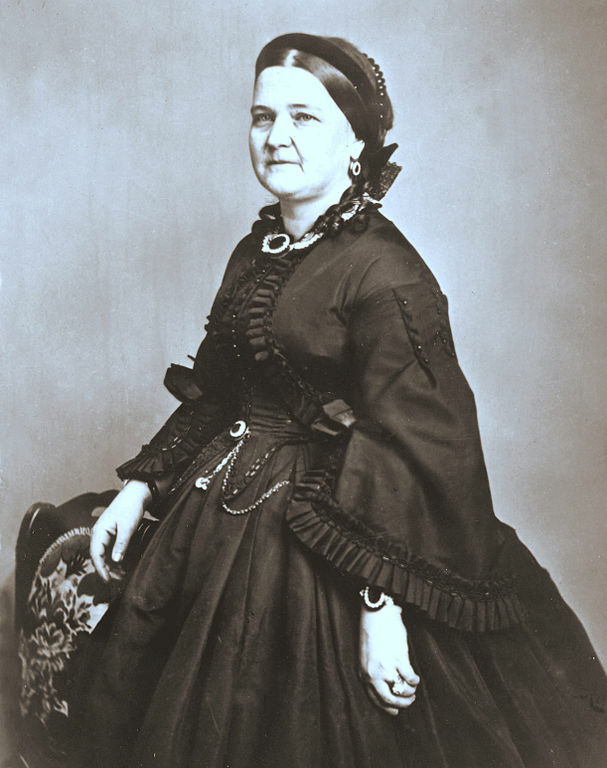 During the Civil War, America had two first ladies, the first, Mary Todd Lincoln, of course, served as First Lady in Washington, and the second, Varina Davis, served as First Lady in Richmond, capital of the Confederacy. In an earlier blog article, Washington’s “It Girl” during the Civil War, I discussed Mary Todd Lincoln’s social rivalry with Kate Chase, the daughter of Secretary of the Treasury Salmon Chase. Mary suffered pot shots partly due to the Todd family’s divided loyalties and partly due to her husband’s unpolished western speech. (For example, when referring to the “chairman” at an event, Lincoln pronounced the word as “cheerman,” typical of western speech.) Varina Davis, the granddaughter of a New Jersey governor, counted many prominent northerners as friends. She was suspected of northern sympathies and also suffered barbs from Virginia’s and South Carolina’s social elite. After her husband’s death, she spent her remaining years writing and living in New York City. Many old-line Richmond families watched the arrival of Confederate politicians, generals, and their wives with a mixture of bemusement and contempt. To members of this closed society, Jefferson Davis and his wife, Varina, seemed like unrefined westerners at best and ambitious parvenus at worst. 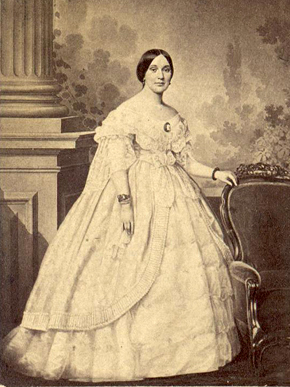 Although Varina had been a successful Washington hostess [when her husband served, on different occasions, as United States Senator and Secretary of War], the haughty Virginians, and especially the hypercritical South Carolinians, remained cool and aloof. — Rable, Civil Wars: Women and the Crisis of Southern Nationalism (University of Illinois Press, 1991). Other than attacks about their questioned loyalties, the ladies Lincoln and Davis endured what many people under the spotlight suffer as the price for fame. As you will see if you visit the National Museum of American History or its website, at least our nation’s First Ladies have dressed well for the critics. For more about Mary Todd Lincoln’s social life, I recommend Vidal’s Lincoln, acknowledging that it is a historical novel but contending that Vidal got the history right. For more about Varina Davis, I recommend Rable’s Civil Wars.